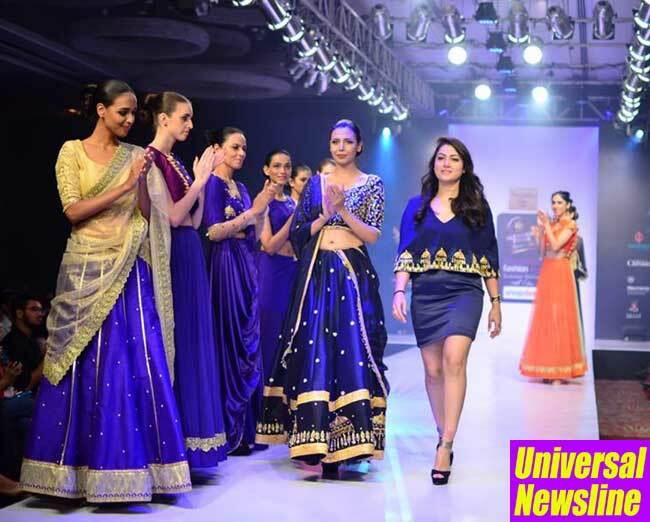 The much awaited Bangalore Fashion Week culminated on a great note when panache and glamour took the centre stage at Sheraton Grand Bangalore Hotel. Amongst the 46 designers, Aakarshan by Aanchal Jaggi showcased her gorgeous collection wherein Starting off with a vision of introducing a contemporary twist to traditional ethnic designs, Aanchal Jaggi payed tribute to Indian aesthetics. Aakarshan carries elements of westernized elements that shows in the silhouettes. The collection displayed was a mix of Indian and Western Silhouettes with absolutely traditional hand embroideries by Indian Artisans that have a modern twist. A combination of minimal and heavy embroideries with rich and flowy fabrics. The designer's background as an artist inspires her to experiment with colours and attention to details. Her customized silhouettes and palettes tell a story that today's vivacious & free-spirited women can easily relate to. About Aakarshan - Aakarshan, the most vibrant and colourful designer label you can find in Dubai, catering to the ones who aren't afraid of attention and definitely love mixing their desi style in western wear. Her label not only provides RTW but also services such as custom tailoring and designing. Young entrepreneur Aanchal Jaggi holds a B.A Degree in Fashion design & pattern drafting from French Fashion University ESMOD. The designs at Aakarshan are Chic, funky and flirtatious. Indo-Western attire specially created for the bold and vibrant contemporary woman. Aakarshan outfits aim to target women aged between 16 and 35 years of age.